Facebook's big announcement today was Graph Search. It's a deeply important step for Facebook. But it's also kind of unlike other search systems out there, and adds a bunch of new ways to use Facebook. Here's how it works. The first thing to note is that Graph Search is "not web search," as Facebook puts it. It's not where you go to find Wikipedia links or song lyrics or anything like that. It's a way to access information and people and things that are already on Facebook. Specifically, it's for finding things that have been shared on Open Graph, which is the feature of Facebook that shares apps you use, photos you comment on, and music you listen to with the world at large. Naturally, not everything you type into the Graph Search field will be on Facebook. So if Facebook has no idea what to do with your search terms, it will display results from Bing (which is actually pretty good for pure search). Big news for Bing, mildly bad news for Google. The more notable part for Google is that Graph Search is organizing information that Google can't get at, and the type of information that it's largely failed to get through Google+. ...That Focuses on Four Main Areas..
Graph Search is centered around finding four types of things: People, Photos, Places and Interests. You can find, to use Facebook's example, TV shows that are watched by Doctors. Or Apps that are used by friends of friends. Or doctors liked by other doctors. Or photos of dogs from your female friends who live in San Francisco. Literally anything in the Facebook universe that's connected in a way that you are or want to be connected. It sounds pretty simple at first blush, but it's actually a pretty clever way to use all of the social information that Facebook's collected. The way you sort through stuff is deeply reminiscent of how you'd sort through a traditional dating website. "Single Women who live within 25 miles of me with Blonde hair and Average body types and who Like Cats" is now, more or less, something you can type into Facebook's Graph Search and get a real response. It would probably look like "Friends of My Friends who are Single and Live in My City and Female and like Cats." Or something close. You type a sentence into the Graph Search bar that has a series of filters, like either of the above examples, and GS will give you suggested searches based on those. Obviously, Facebook is talking about its privacy advancements, like Privacy Shortcuts from a few weeks ago. But the fact remains that this is going to be a hugely powerful way to be creepy on Facebook. You can already accomplish that pretty easily, but merging the powers of a recruiting service and dating website with your real life friends and acquaintances is going to have some unexpected side effects. ...And will be hugely more powerful in the future. 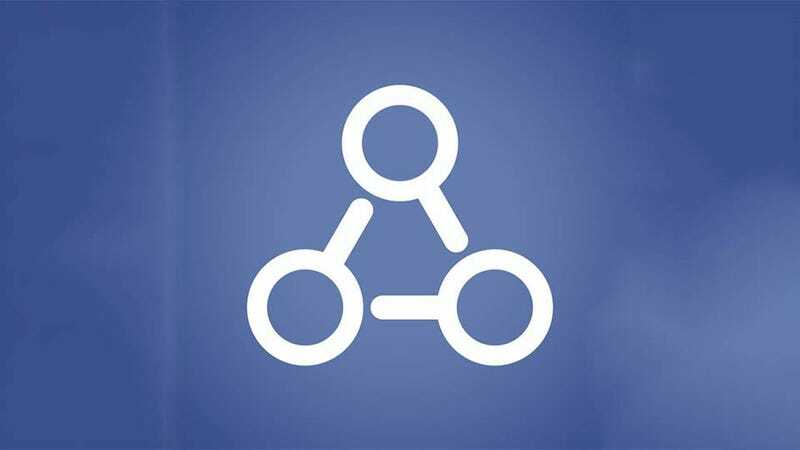 Maybe the biggest thing to know about Graph Search is that it's going to grow hand-in-hand with Open Graph. Facebook says that everything shared in Open Graph will eventually be available for search in Graph Search, meaning every like, post, comment, Spotify song listened to, (soon) Netflix movie watched—all of it will be available to be searched, filtered, and viewed by people using Graph Search.